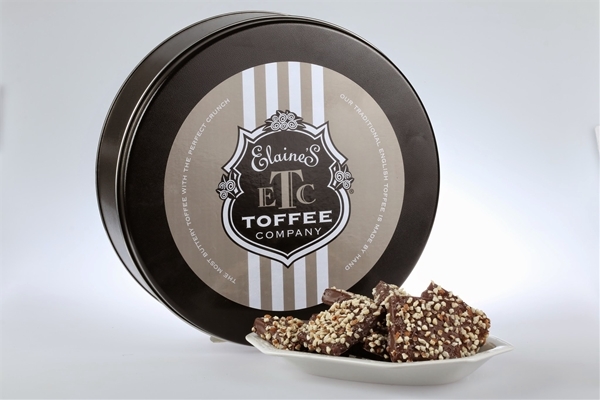 Our Dark Chocolate Almond Toffee in a 1 lb. tin is the original! Almonds are added to our signature toffee mixture and toasted as the toffee cooks to the perfect temperature. After cooling, we cut the toffee into personal size pieces, enrobe it in rich Guittard Dark Chocolate and top it with more crunchy almonds. This gift tin makes an elegant gift for large groups such as corporate clients. Or it's perfect when you just want more for yourself!